Cape Breton Island, the most magnificent and beautiful island in the world. To quote National Geographic "this island is Canada's best kept secret." We have endless opportunities to explore mountains, rugged coastlines, and vast untouched wilderness. Not to mention, no matter where you are in Nova Scotia, you are never more than 67 km from the ocean. Keeping all that in mind, it only makes sense that we are one of, if not the best, hiking destination in Canada. 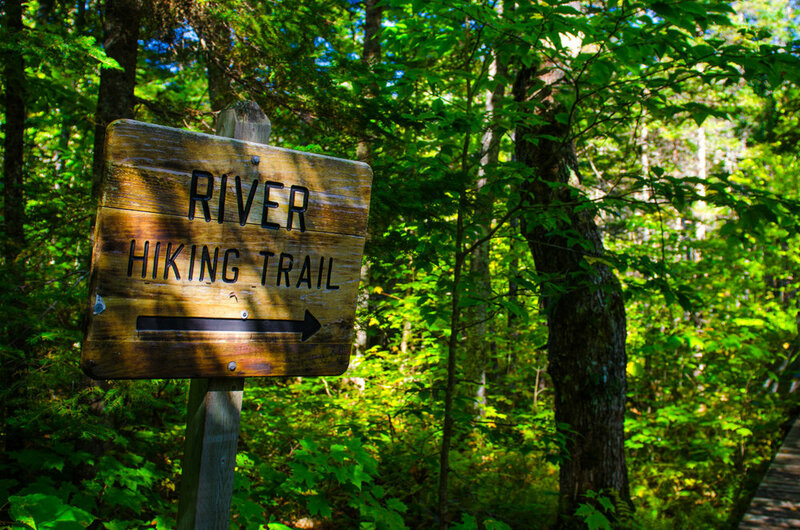 We have put together a few of our favorite hikes located throughout Cape Breton, with hopes that you will have the opportunity to explore places you've never been or to reminisce on your past adventures. Don't have the proper gear for hitting the trail? Not to worry, Escape Outdoors has everything you need from a great pair of boots to backpacks and rain jackets. You name it, there is a good chance we have it. 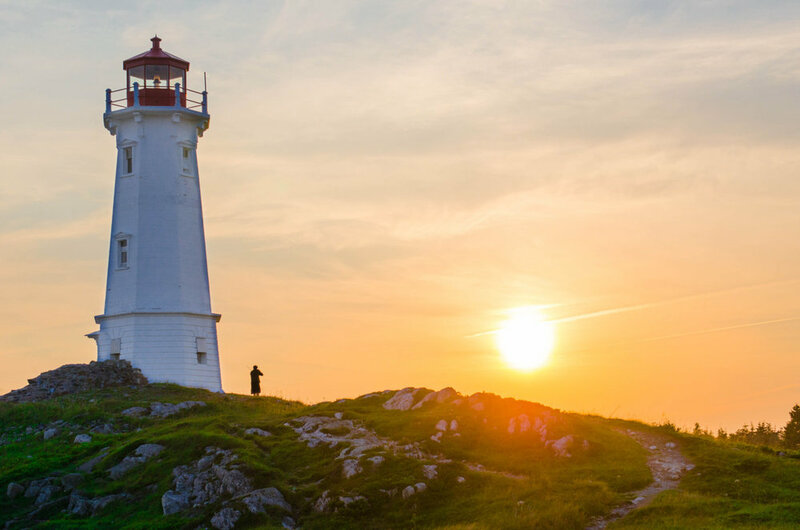 The Lighthouse Trail is one of the most historic trails in Cape Breton, located on the eastern side of the island, across the harbor from the Fortress of Louisbourg. This trail will take you along rugged coastline, as you trace the steps of English soldiers on a 2km loop from the lighthouse to Gun Landing. If you're feeling more adventurous, you can continue on a more rugged trail for 6km to Big Lorraine. You'll travel through Pebble beach, various coves, marshes, flora and interesting forest, while listening to the waves crash. 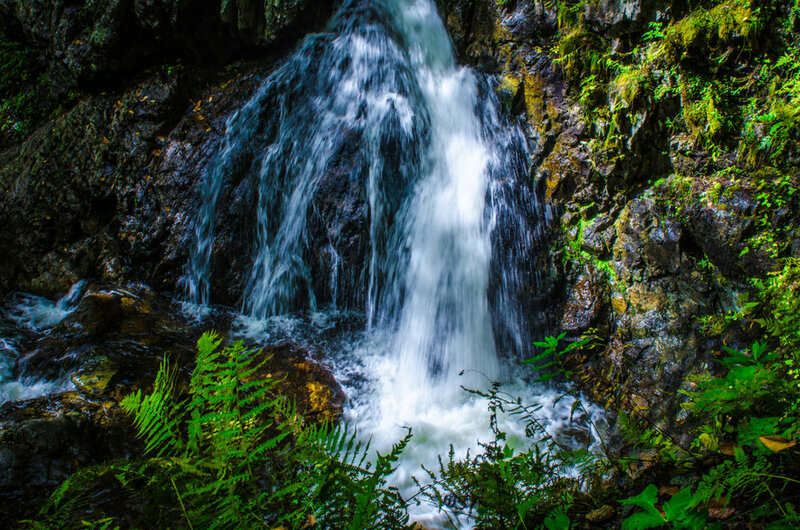 Uisge Ban Falls in located in the heart of Cape Breton. You might know it to be the beginning and the end of the world famous Cabot Trail or simply put, Baddeck. “Uisge Ban” is Gaelic for “white water” and whether you take the Falls or River Trail, you'll quickly see where it got the name. The Falls Trail is 1.5km and takes you through forest that looks like a scene from a fairy tale. 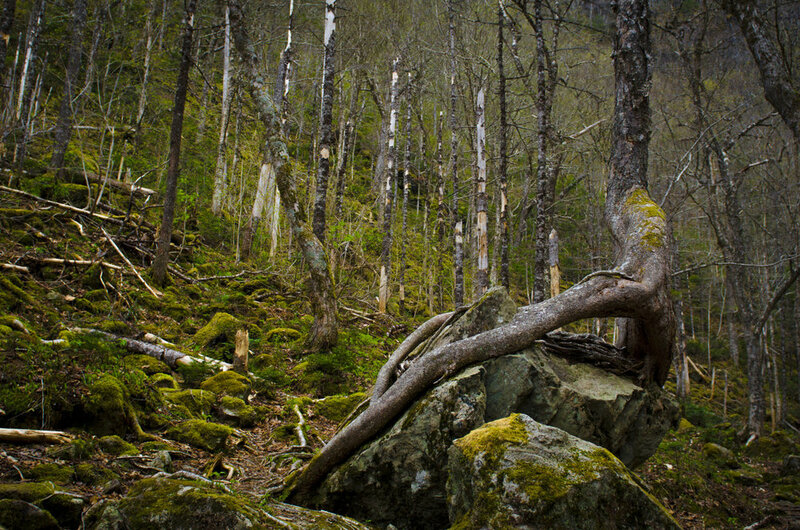 Trees grow tall and wrap their roots over large mossy stones, setting the scene for a magical hike as you hear the water rushing around you. You'll then find yourself at the base of a jaw-dropping 50ft waterfall in a granite gorge. If you want to make the trail a little longer, you can follow the fork along the North Branch River in a 2km loop. 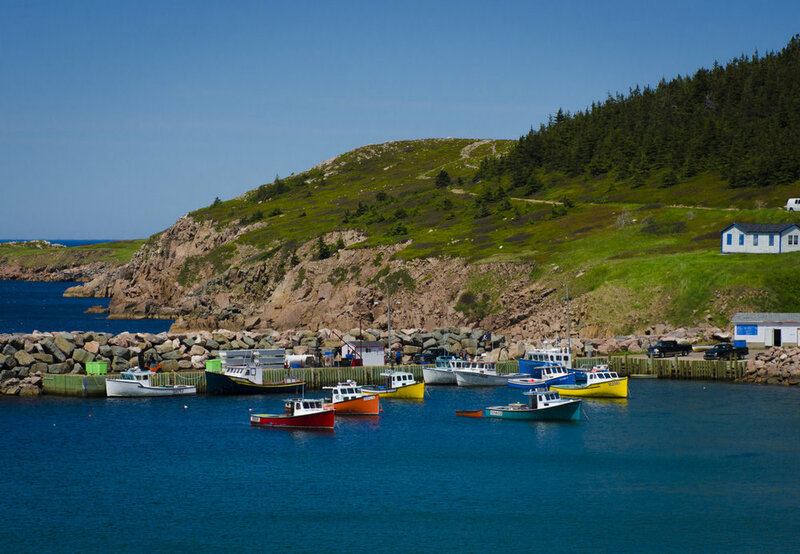 Located off the northern portion of the Cabot Trail, near Neil’s Harbour, you'll find one the most scenic fishing villages in the world. You'll also find beautiful, open hiking trails which begin on somewhat of a hidden dirt road and follows the coast along rocky, rugged cliffs. 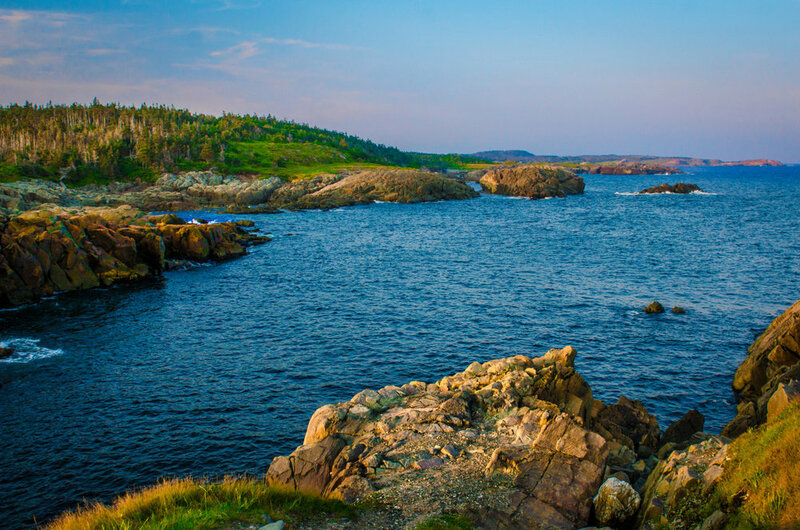 The trail is roughly 6km and ends with spectacular views in Burnt Head Cove. White Point Trail has been called the most scenic hiking trail in Cape Breton, and you'll quickly see why. Adventure to the most northern point of Nova Scotia and find what is easily the most stunning landscape in the world. Before your feet even hit the trail, you'll be blown away by how untouched the landscape is. The road into the village is gorgeous as it twists between the mountains of the Cape Breton Highlands. Meat Cove Mountain is only about 3.5km total hiking but that doesn't mean it's easy. The trail rises 900 feet within the first kilometer. However, there are ropes along the way to help you get up and down the mountain. When you reach the summit, take a break and enjoy the views. You'll view first hand "Where the Mountains Meet the Sea". This trail isn't prominently featured compared to many of the trails located within the National Park however that doesn't mean that it's not one of the nicest trails on our island. 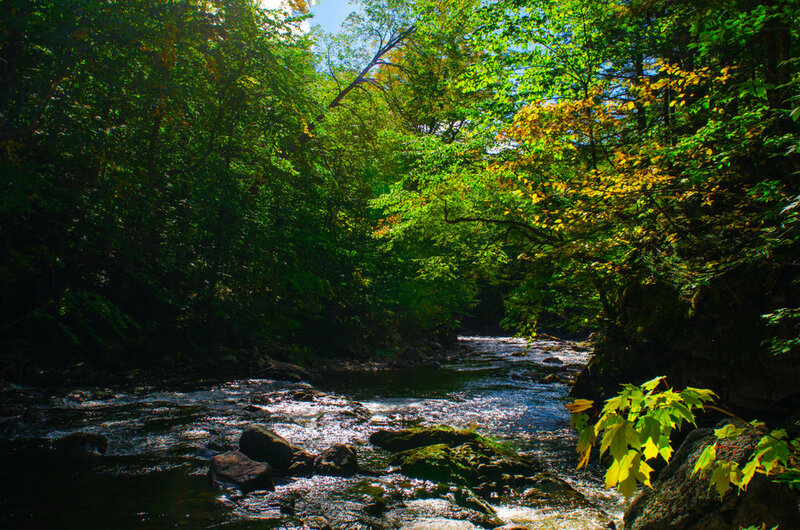 This 10km network of trails is located within the CBRM and only a short drive from Sydney. The Coxheath Hills & Trails Society does a fantastic job keeping the trail open throughout the entire year and organizes lots of fun events like Christmas at the Cabin, where you hike up to Pittman Lodge (available for overnight stays by booking) and listen to Christmas stories around a fire with hot apple cider. During Celtic Colours you can even experience a Ceilidh on the mountain with musicians and entertainment. 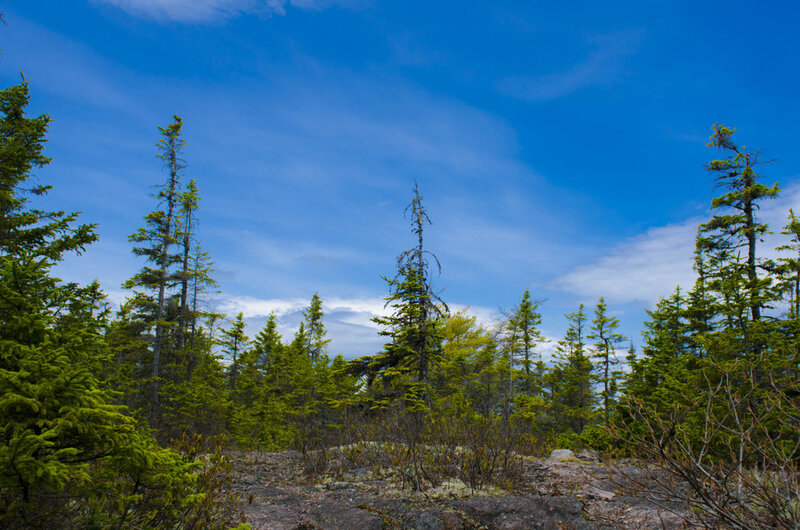 The hike to the top begins with a steep climb but gets easier until you reach the top where you can get a panoramic view of Sydney, Cape Smokey and East Bay Hills. 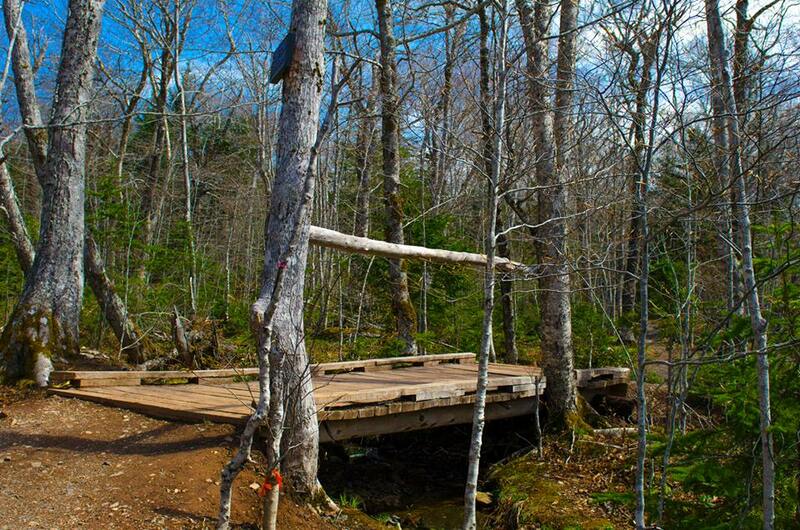 We can't leave out the most popular trail in the Cape Breton Highlands National Park. 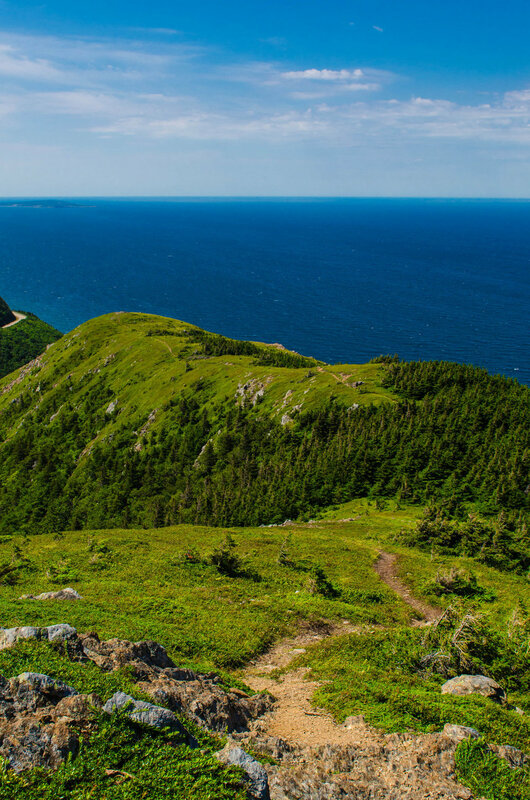 Of course, we're talking about the Skyline Trail located on the Cabot Trail on the top of French Mountain. We suggest you wake up early or save this hike for when it's not peak tourist season as there is generally a lot of foot traffic at that time. You can choose to trek 6.5 km return or an 8.2 km loop. During your hike you'll see forests, mountains, ocean and even wildlife (moose sightings are plentiful). Once you pass through the forest and reach the boardwalk, follow it until you're greeted by a birds eye view of the Cabot Trail, that will leave you speechless. 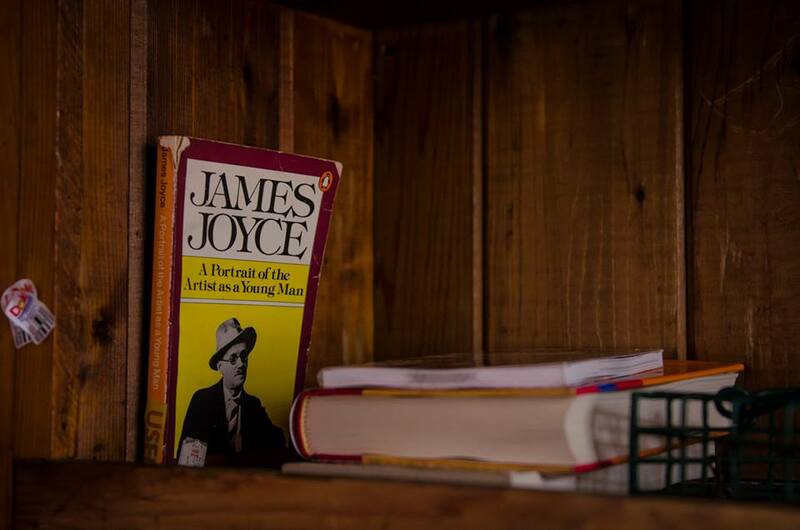 We are only scratching the surface of all the wonderful trails throughout the island for you to explore. Always keep in mind the level of difficulty your body can handle when choosing a trail. 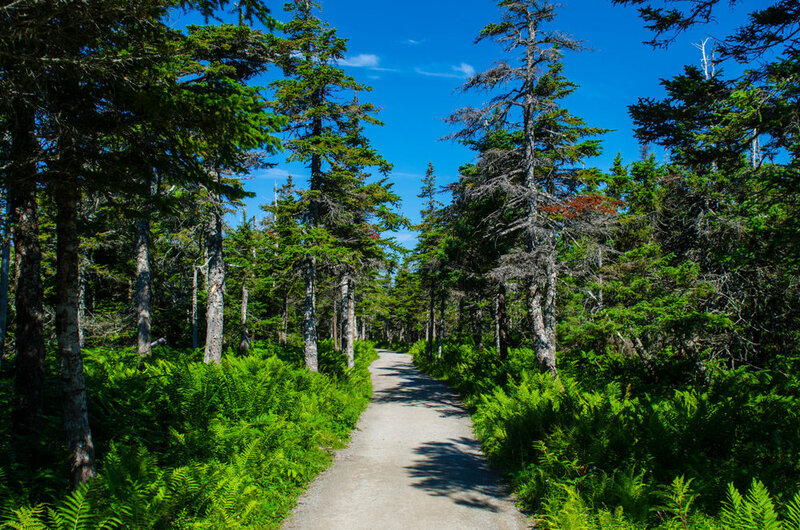 Whether you're a hiking enthusiast, or you just want to spend some time outdoors with the kids, Cape Breton Island has a trail for everyone. We encourage you to get outdoors and see the trails for yourself, but remember the importance of safety, preparation and planning. Happy exploring!